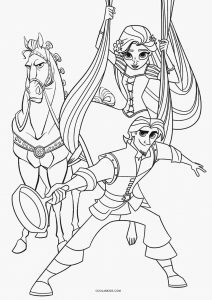 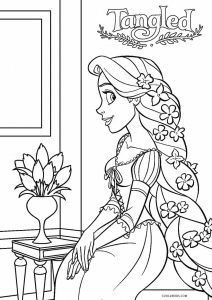 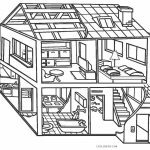 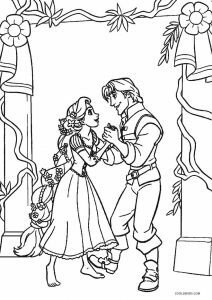 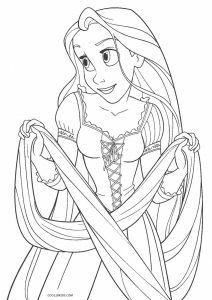 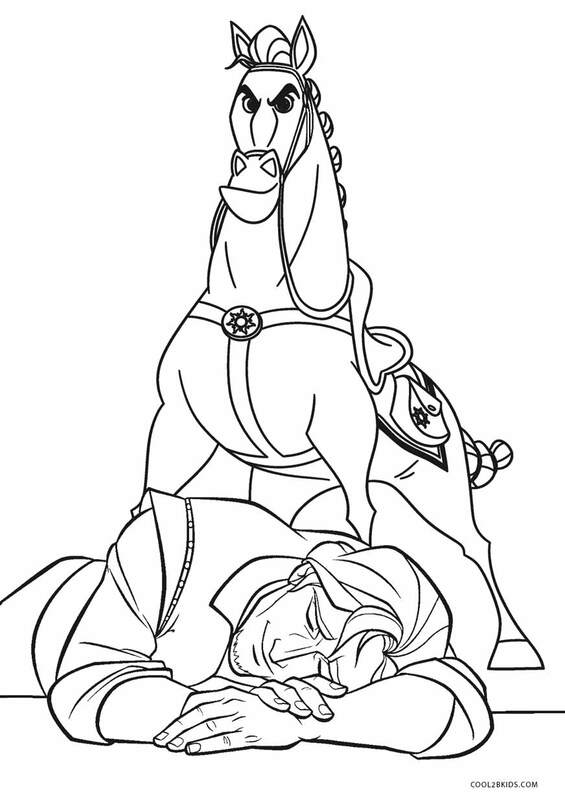 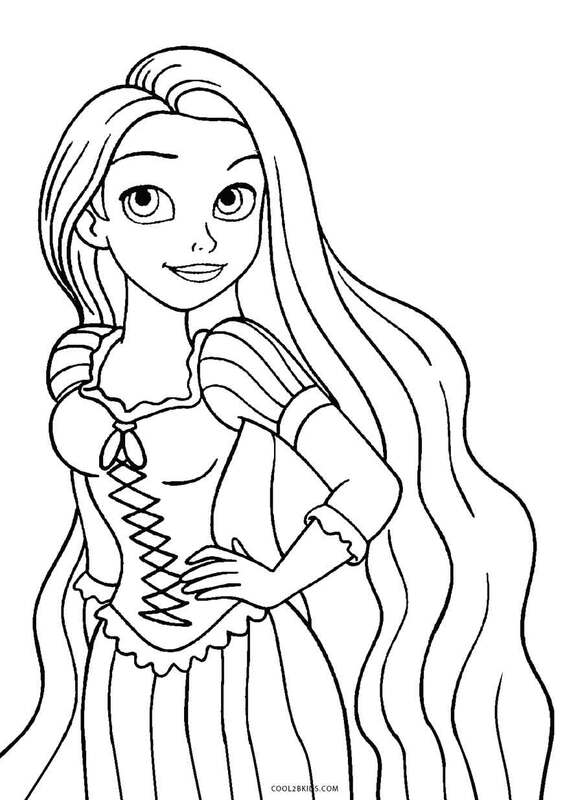 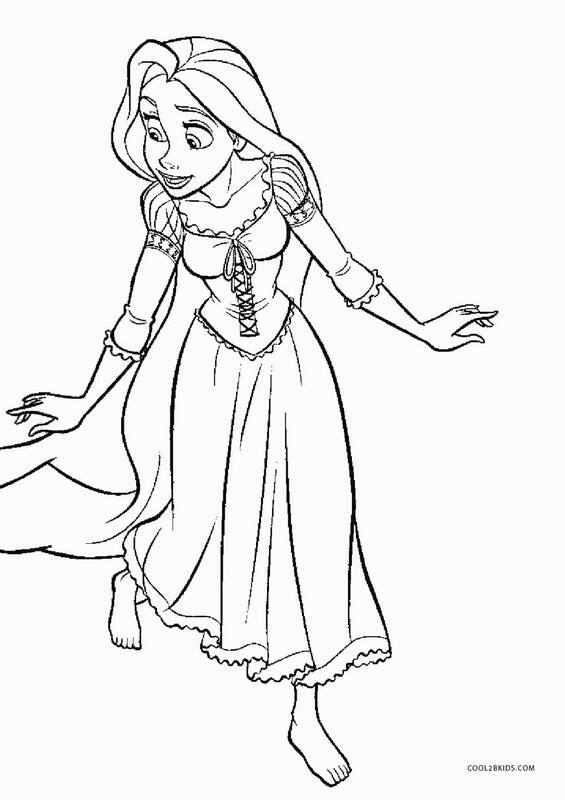 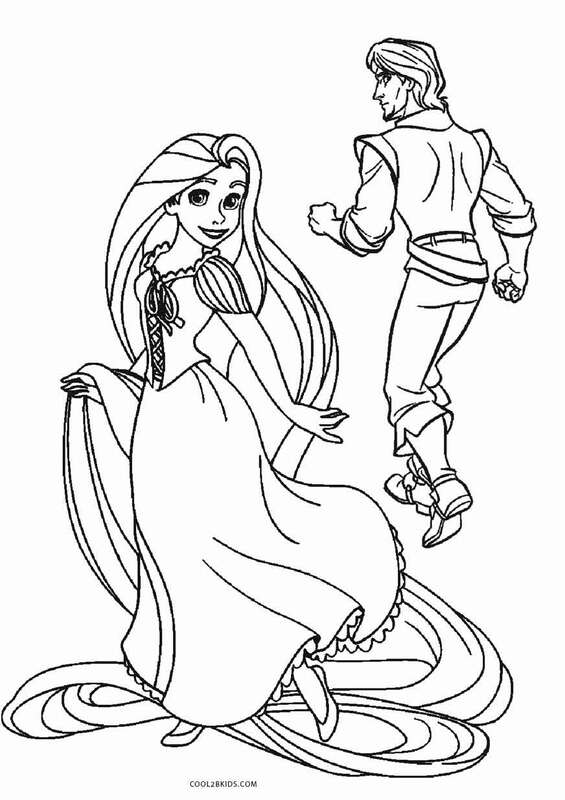 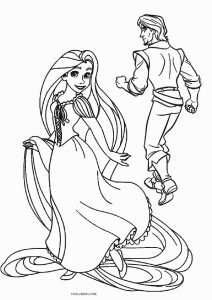 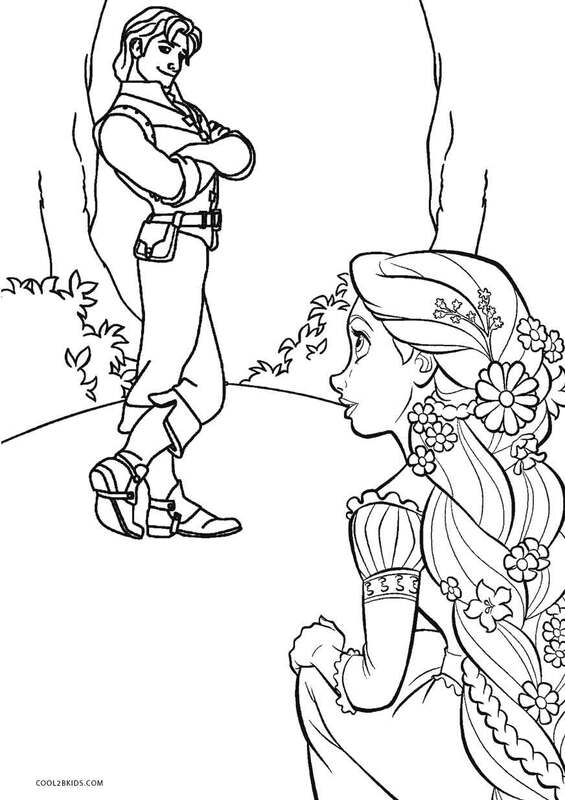 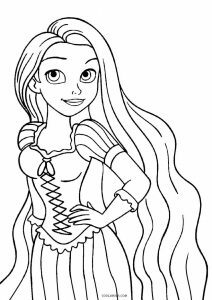 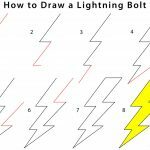 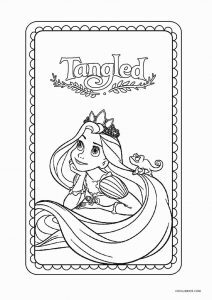 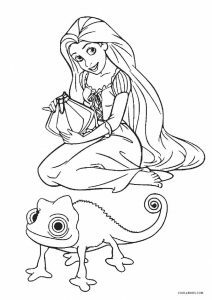 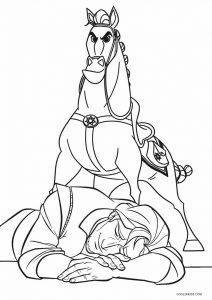 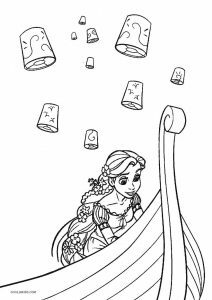 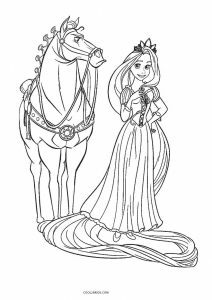 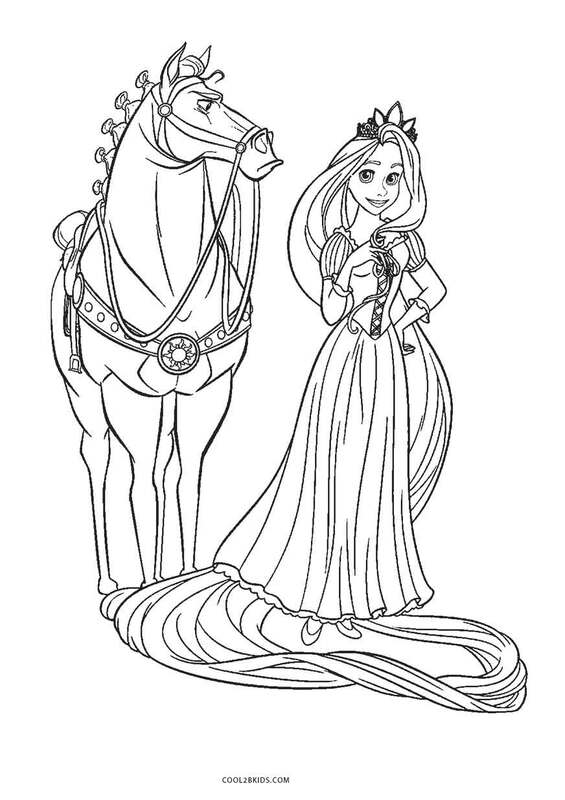 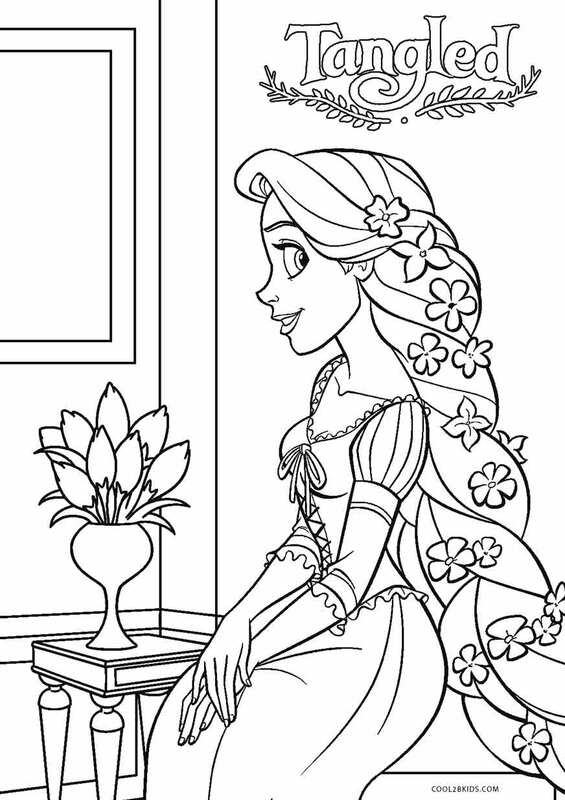 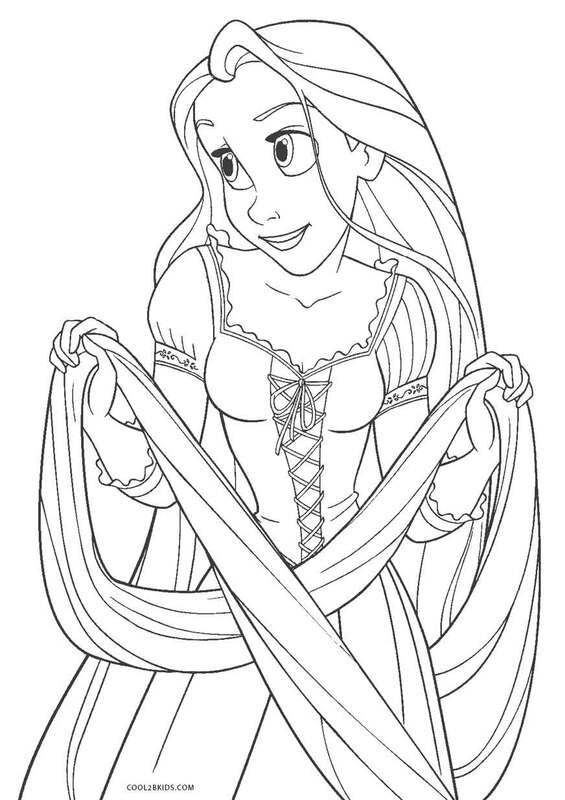 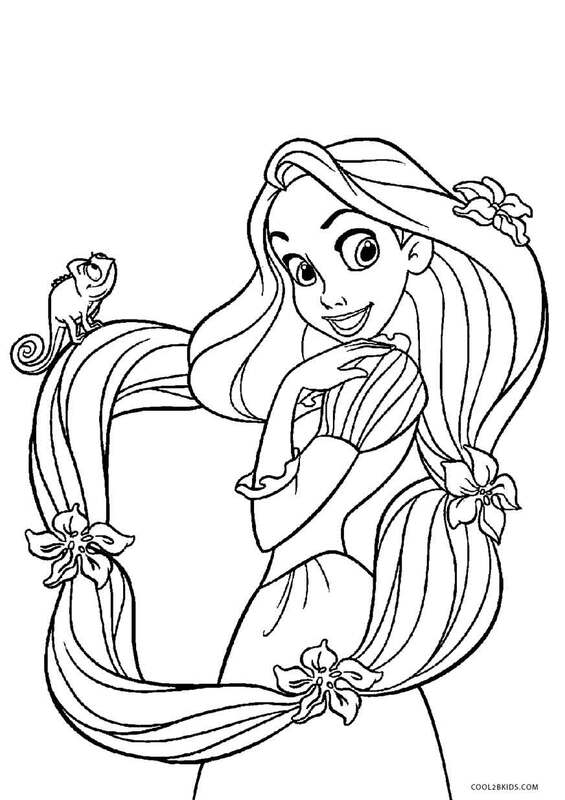 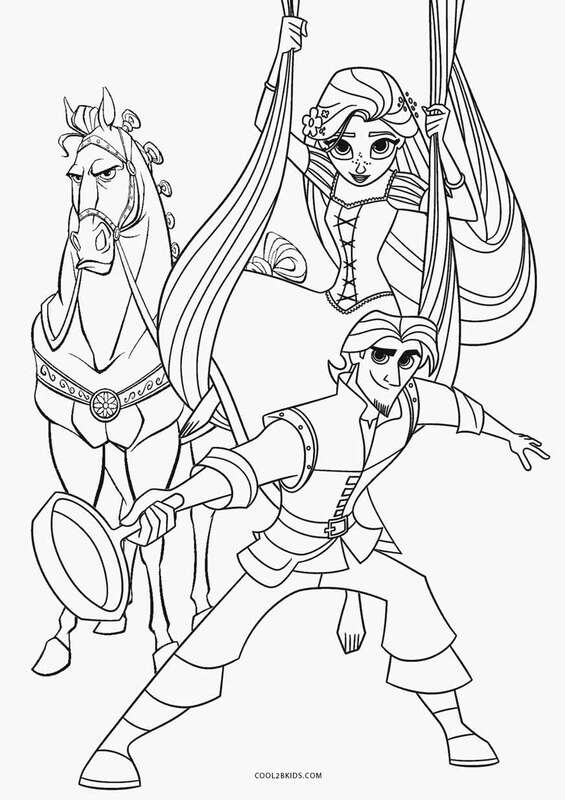 Give wings to your imagination by putting color to these free and unique Tangled coloring pages. 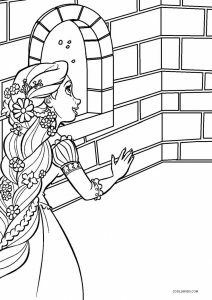 You are sure to go weak on the knees by just getting a glimpse of the beautiful princess Rapunzel kept secluded in a tower without any connection to the real world. 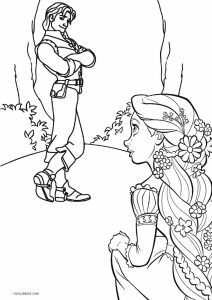 Her life takes a new turn with the entry of the handsome thief Flynn Rider and she never looks back again. 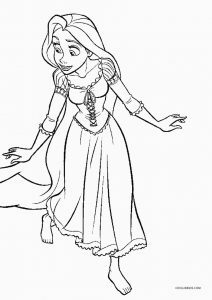 She is reinstated her position in the kingdom and reunite with her family. 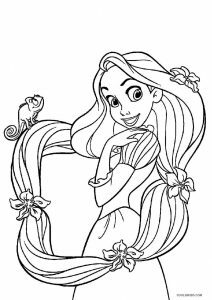 The topsy-turvy turn of events creates a beautiful adventure story with melodious music thrown in to make it a memorable joyride that kids, even adults hold close to their hearts. 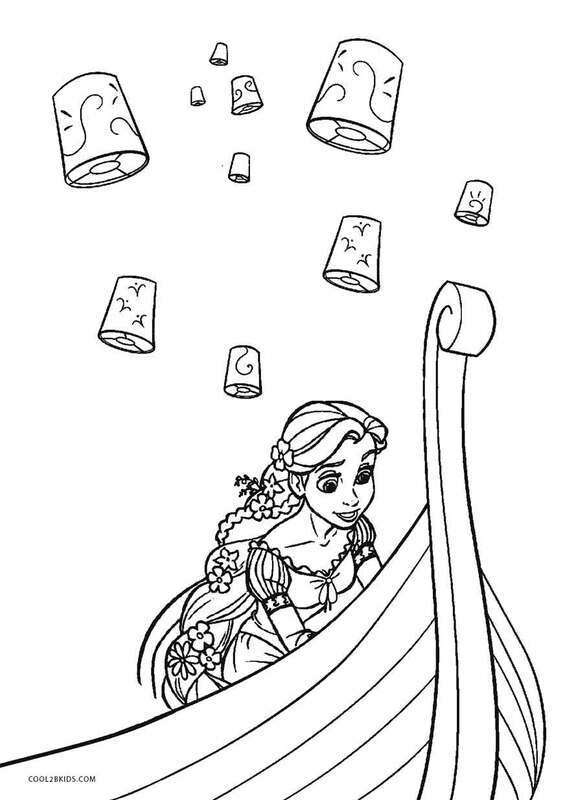 The journey has been captured in all its splendor on these printable pages. 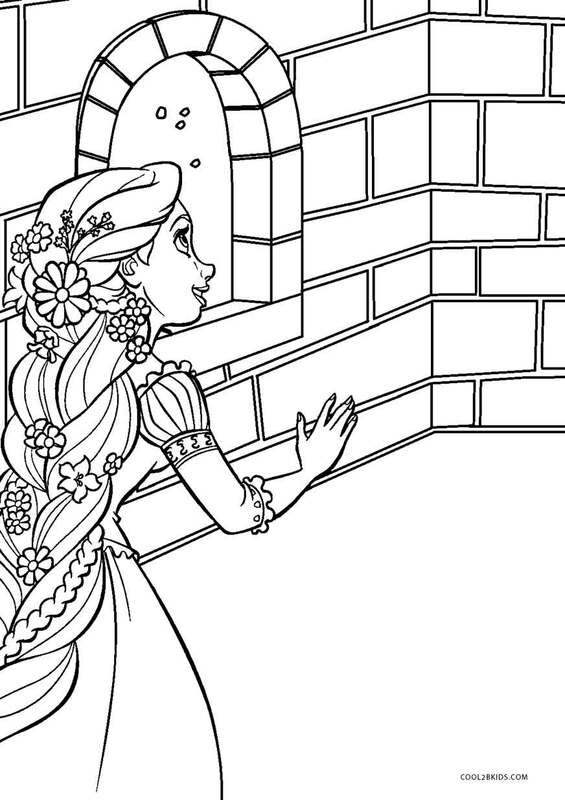 With The right colors, you could find yourself living in Rapunzel’s world. 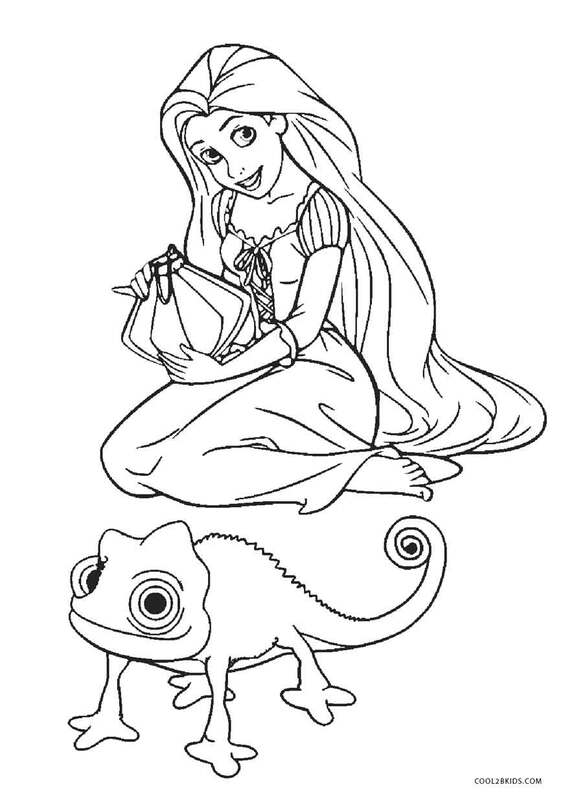 Avid Tangled lovers would already know the go-to colors. 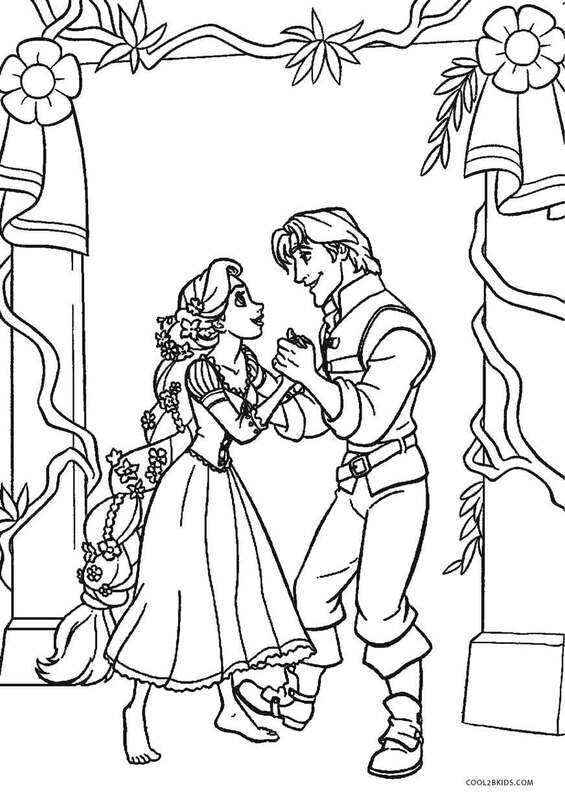 In case you don’t know or have forgotten, this activity gives you the apt excuse to watch the lovely film. 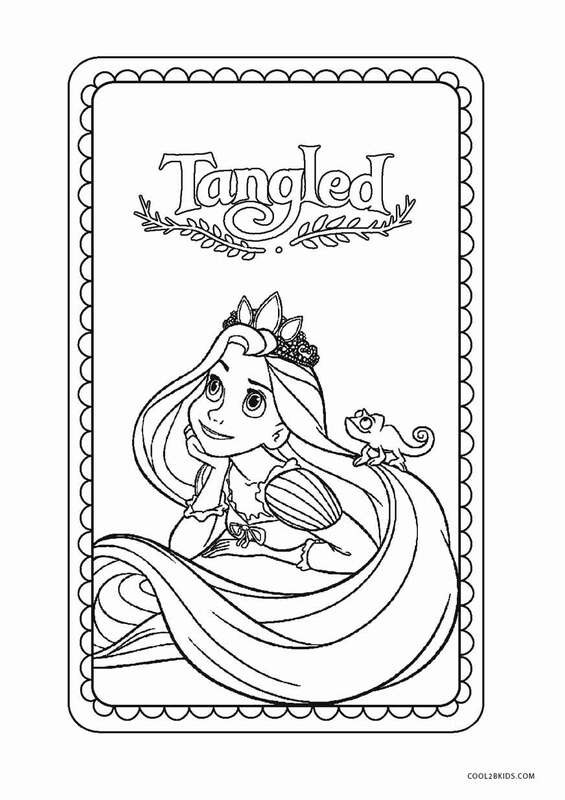 In any case, your canvas is sure to sport a burst of colors. 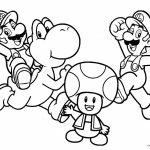 Thank you for reading, Dex.